Thank you for grabbing your apron and taking part in the Great Rainbow Bake. We hope you enjoyed getting messy and spending time together. You’ve made a real difference to the lives of families who have a seriously ill child, helping them make the most of every precious moment. Send a cheque - made payable to Rainbow Trust Children’s Charity with the words Great Rainbow Bake written on the back of the cheque, to: Rainbow Trust Children’s Charity, Cassini Court, Randalls Way, Leatherhead, Surrey, KT22 7TW. Don’t forget to Gift aid it. At no extra cost to you, we’re able to claim 25p of tax on every £1 that you give. Simply tick the gift aid box when paying in online, by post or using this Gift Aid Declaration. 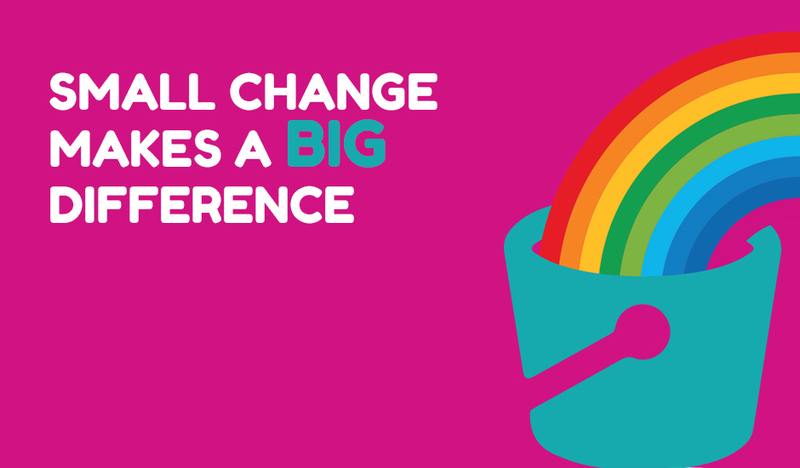 If you are experiencing difficulties paying in money, or need help making a donation, please call Supporter Care on 01372 220083 or email supportercare@rainbowtrust.org.uk. Unfortunately, we are unable to accept donations from cards not issued and registered in the UK, so if you are donating from outside the UK, please use PayPal or contact Supporter Care for further assistance. Everything you’ll need to make your rainbow bake great!